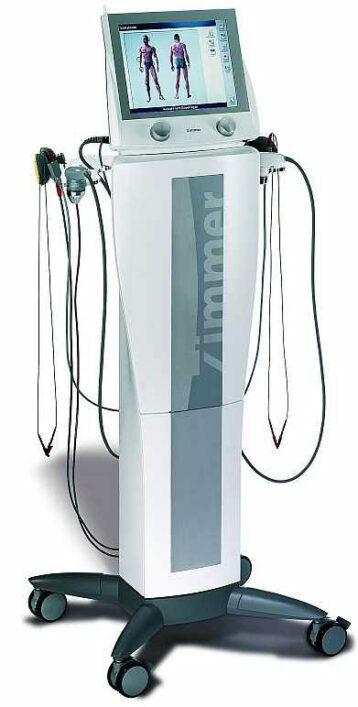 The food, pharmacy, cosmetics and medical industries have a very high importance for the hygiene of production sites. Maintaining a good hygiene level in a production site implies that control regulations are adhered to. In some countries, regular inspections are required by regulation. Testing can be performed either on the product surface or the surfaces that are in contact with the products. Our sponge is used in devices designed to be in contact with products or surfaces to collect the potentially present bacteria. The devices are composed of a sponge, impregnated with a special liquid which allows the bacteria to be recovered and placed in a plastic bag. 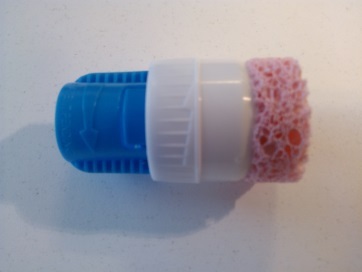 In some devices, the sponge is attached to a plastic stick. The bags are then sterilized. 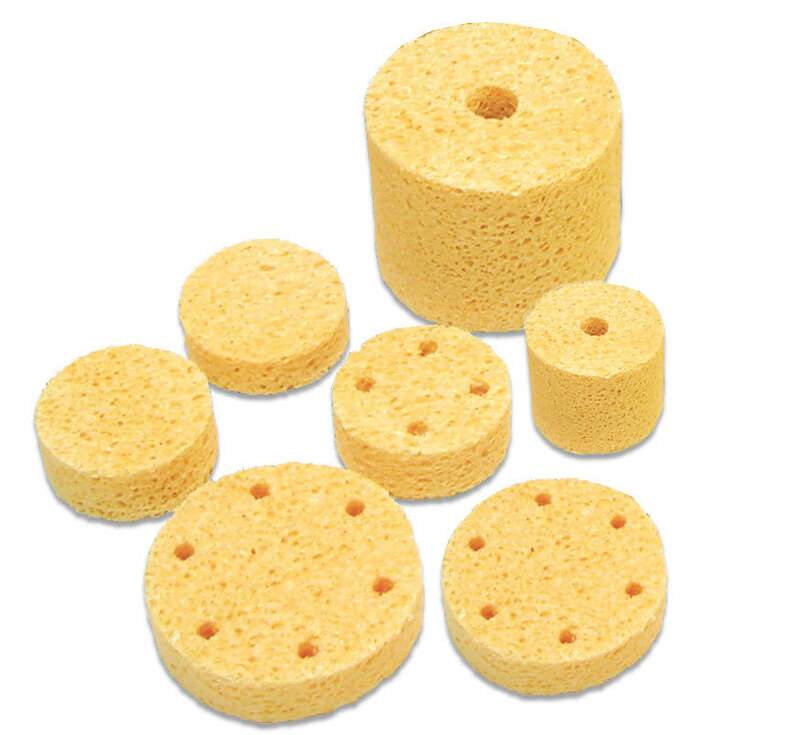 Scrubbing devices such as sponges can sample products without damaging them. It’s a non- destructive method which gives good results for sampling of the product. Sponge is a very absorbent material. It can absorb 20 times its own weight. Thanks to its high material resistance, the sponge can be rubbed very aggressively, removing most of the bacteria without scratching surfaces. Our sponge is biocide free which means it will maintain the credibility of the collected organisms. 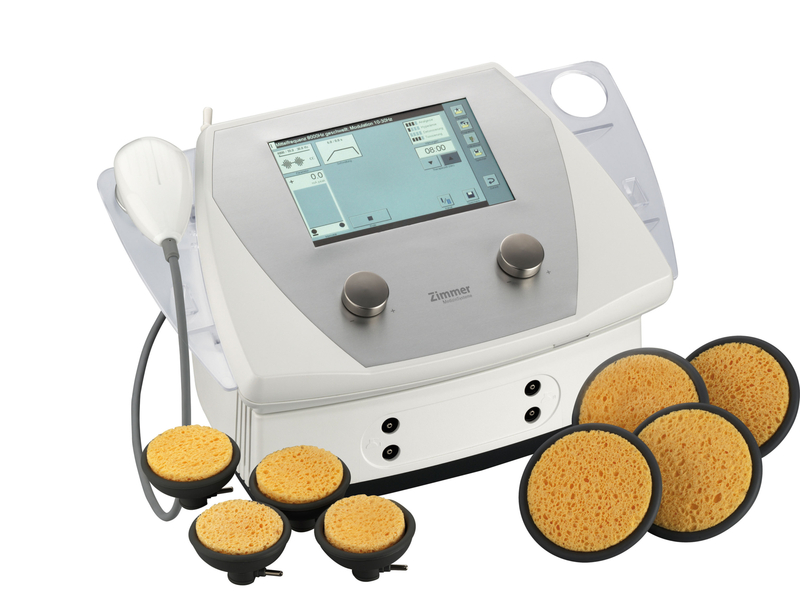 Our sponges are used as part of electrodes to improve the conductivity of the current and thus the efficiency of the device. In some applications, our sponges are used as a bag around the electrode. Sponge is a very efficient conductive material. 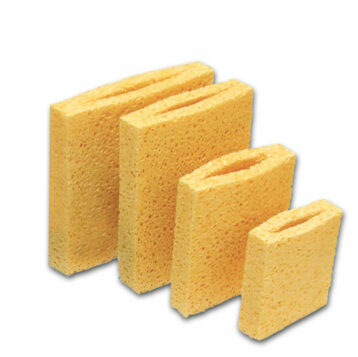 Cellulose sponge is a porous material that can be compressed. Once it is compressed, when liquid comes in to contact with it, the sponges expands to its original size. This amazing behavior is used in bandages where you want to apply pressure on a wound so it stops bleeding. Our sponge is pure cellulose, which is safe for most medical applications. Pop up plasters are commonly used when taking a blood test for example. Our sponge could be used in products of bigger formats like compression bandages. They are used by emergency services and you can find them in first aid kits. If you have a serious injury, a compressed bandage could save your life. You wrap the strap around your arm and the blood makes the sponge expand compressing the wound and stopping the hemorrhage. Compressed sponge is also used in nasal dressings. The principle is always the same: the compressed sponge expands in contact with blood, which applies pressure on the injured vessel and stops the hemorrhage within seconds. When you have a nose bleed, the nasal dressing can be the only way to stop your nose from bleeding. Pop up effect: Sponge can be compressed and rapidly expands when it comes in contact with a liquid. Eye spears made of compressed sponge are used in the field of ophthalmic surgery. Eye spears are used for excess fluid absorption. The compressed sponge expands in contact with fluids absorbing them in a very efficient way. The eye spears are also used to gently touch the eye surface. Sponge is a very absorbent material: 20 times its weight, which makes the sponge expand in seconds. Thanks to its huge absorption rate, you can use a sponge to efficiently wipe a disinfectant on the skin. The sponge absorbs a lot of liquids so it’s quicker. It doesn’t drip so you don’t lose any product. The sponge can be used with a plastic stick or integrated with the packaging. If you want to create a single dose product, this is the perfect solution for you. We have plastic packs and parts manufacturers as partners to help you design complete products. 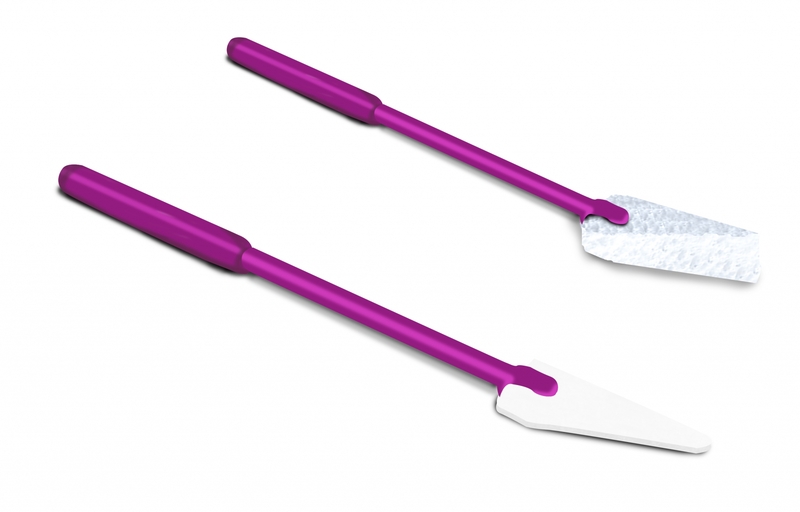 Our sponge applicators can be used to apply disinfectants and a wide range of other skin surface medical products. It works with all liquids and a selection of creams. In the field of human fluids sampling, sponges are sometimes preferred to swabs. They can absorb more liquid than swabs because they are made of 100% cellulose.